Spain’s far northwestern corner is only a third the size of the U.S. state of Indiana, but it’s got a plethora of manmade sights that are truly astonishing, from the historic old town of Santiago de Compostela and the Tower of Hercules, a monumental lighthouse that has been in service since Roman times, to the slate-stone Roman city walls that encircle Lugo. There’s a lot of monuments that nature has created as well. 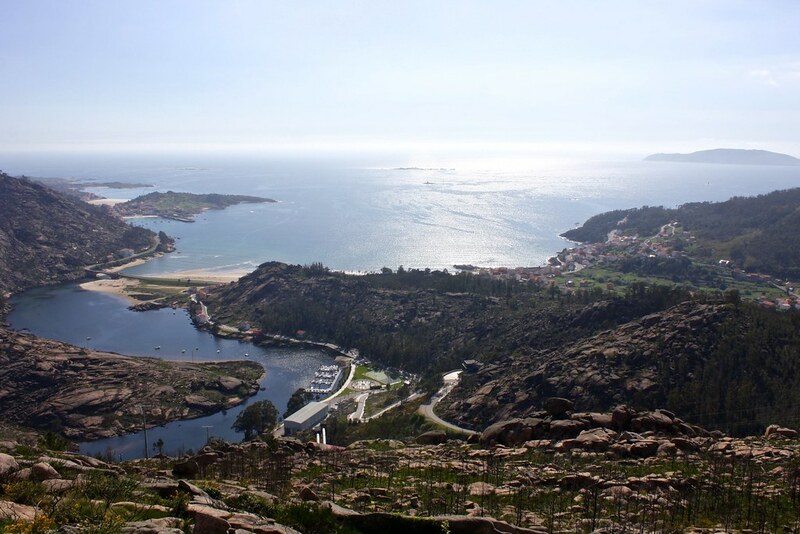 The region of Galicia sometimes feels a world away from the rest of Spain with its rugged terrain, rainy climate, and green forested landscapes. This unique setting has given us some jaw-dropping scenery that sets Galicia apart from the flat, high plains of central Spain or the overdeveloped beaches of the Mediterranean. 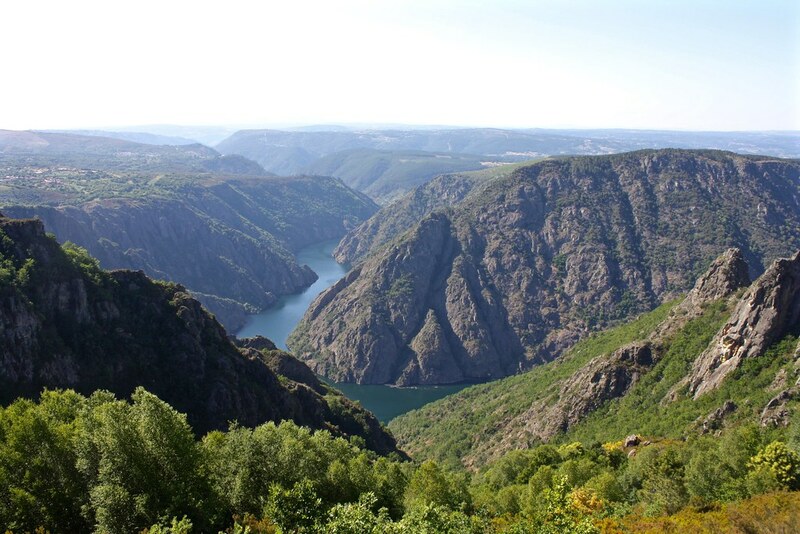 Although nothing can live up to the majestic scenery and diversity of ecosystems that Arizona’s Grand Canyon offers, Galicia’s own “grand canyon” comes pretty close. 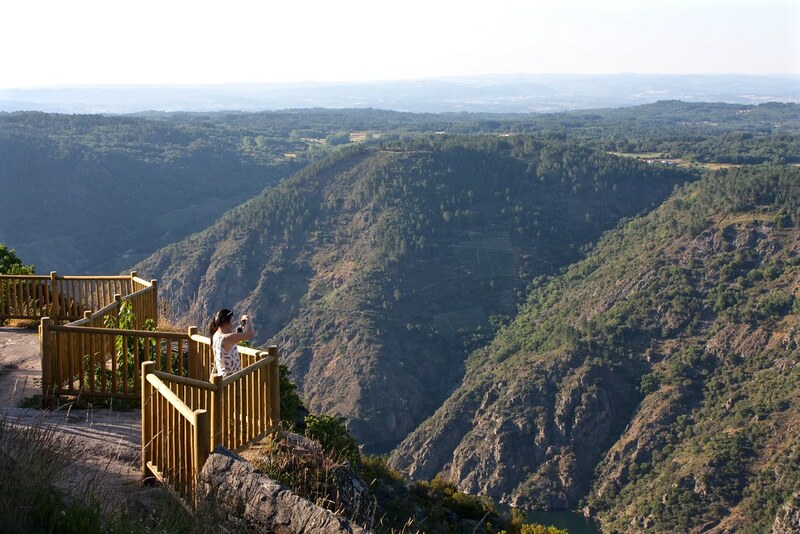 The name Ribeira Sacra or “Sacred Riverbanks” has been applied to the Sil River Canyon that cuts deep into the granite massif of central Galicia because this austere, isolated landscape was home to no fewer than 18 monasteries from the early Middle Ages onward. The human activity here only serves to make the natural surroundings that more stunning. Tour boats cruise the Sil as it flows through here, minuscule against the vast canyon walls. Weathered Romanesque monasteries hewn from the earth beneath them reveal the building materials that sustain the Cañón do Sil today. And a glass of rich red Mencía wine lets you taste the unique terroir of a wine-producing whose stair-stepped terraces were originally planted by monks. 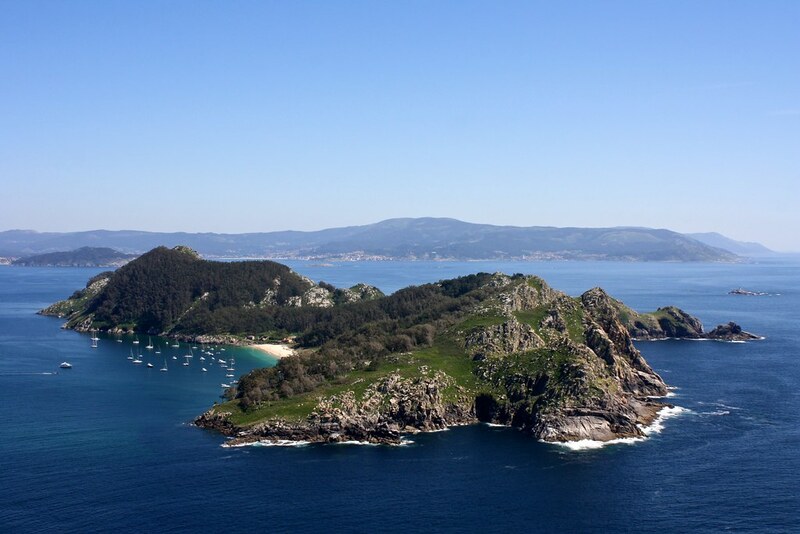 Just a short ferry ride away from Galicia’s southwestern coast float three islands that you would swear were dropped in from the Caribbean: the Cíes Islands. 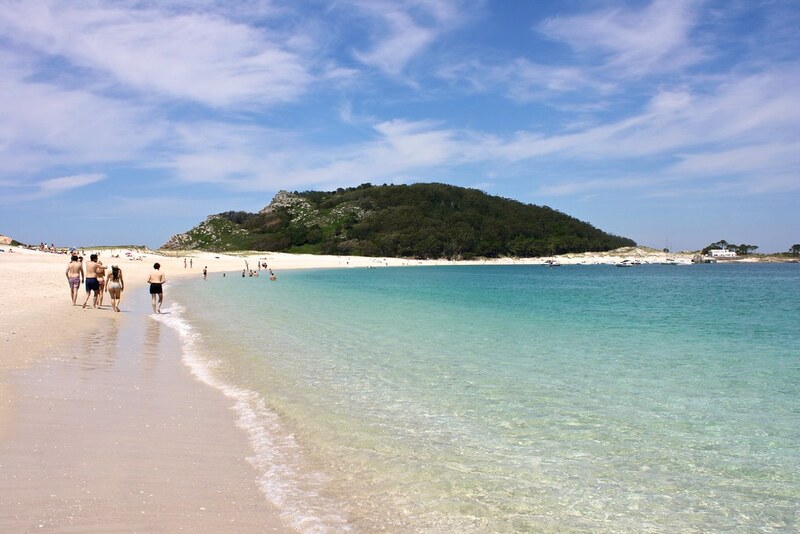 This archipelago, easily accessible via the region’s largest city of Vigo, is home to the Praia de Rodas, which has been referred to as the best beach in the world by The Guardian. What makes this white-sands beach so special is its protected status as part of a national park that has kept it unspoiled from the onslaught of mass tourism or the eyesores of high-rise condos. Steep hills rise up behind the island’s slender beaches, where hiking trails let you thread your way through shaded woods up to stunning views of the Atlantic. You’ll have to share your perch beneath pretty lighthouses with flocks of seagulls—after all, the Cíes Islands are a seagull sanctuary. Many people find they can’t get enough of these islands in just a single afternoon, so they end up camping beneath the boughs of pine trees, just yards from the ocean shore. While the placid waters and sunshine of Galicia’s western Atlantic coast have earned the coast the nicknames Galifornia and O Caribe Galego (“the Galician Caribbean”), the north Atlantic shores often make you feel like you’re in Oregon or Ireland, from the dairy farms that dot the landscape to the weathered cliffs that drop off and reveal millions of years of geologic history. 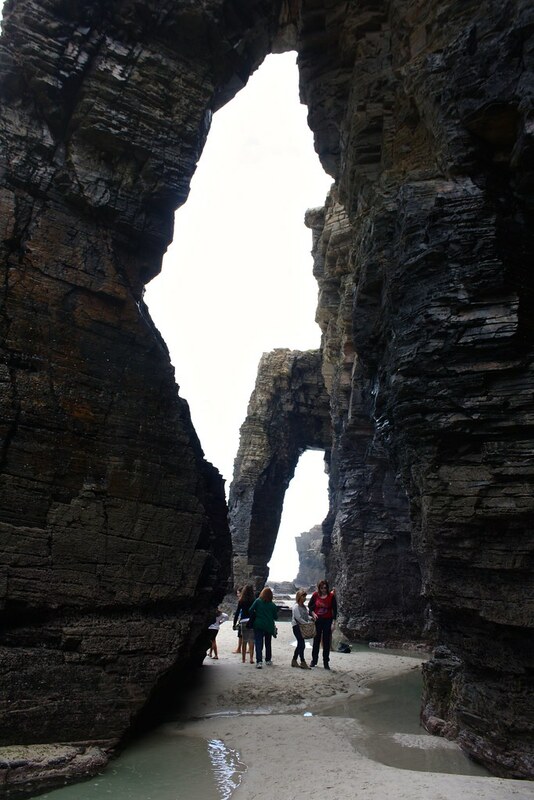 The most striking of these rock formations can be found at the Cathedrals Beach, so named for the spindly structures that endless comings and goings of the tides have eroded away, and which resemble the flying buttresses of a Gothic cathedral. 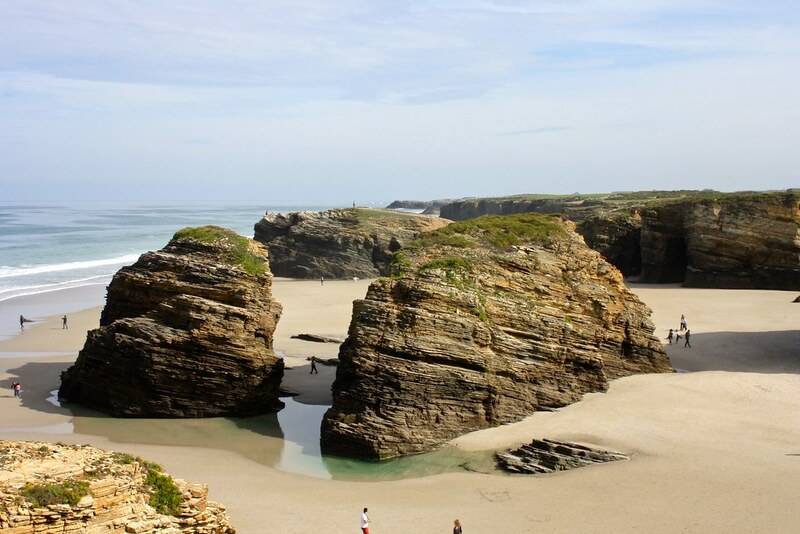 This fantasyland right outside the town of Ribeiro is only accessible at low tide, so plan accordingly! 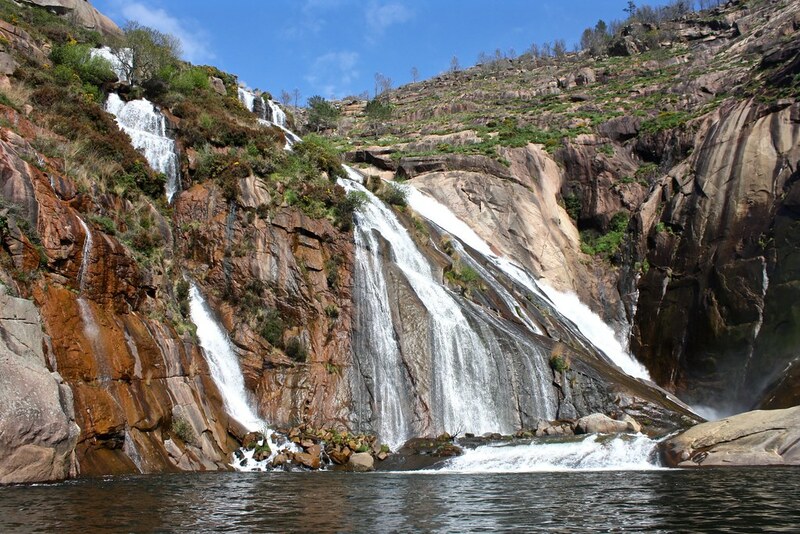 Galicia is home to a natural phenomenon you can find nowhere else in continental Europe, a phenomenon in which a major river empties into the sea via a waterfall. Here on the rugged coastline of northwestern Galicia, the Xallas River trickles down an eroded hillside into a tiny estuary before it reaches the open seas. Not quite as dramatic as, say, rushing water pouring over the White Cliffs of Dover, but this geological (hydrological?) oddity makes the Ézaro Waterfall a special place, indeed. What’s your favorite natural wonder on this list? Have you been to any (or all four) of these? Tell me down below in the discussion thread!